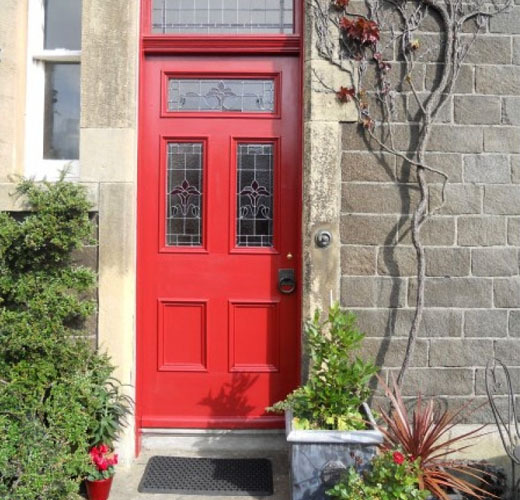 Would you like a new Victorian front door for your property? We design and handcraft completely bespoke front doors in the most popular Victorian styles. Our Victorian door designs are thoroughly researched for authenticity and are based on the many originals we have in stock. If you have something particular in mind we are happy to work with you in order to create your perfect door. Browse our range of Victorian front door designs, available in a number of common sizes. Alternatively request a quote for a fully bespoke Victorian front door. Below you can view further examples of the Victorian front doors we have designed and manufactured for customers across the United Kingdom. We can also create Victorian style stained glass panels when needed. We have a large range of Victorian designs we have previously made which you can browse for inspiration. You can have any of these designs re-created in your desired colours and sizes, or create one with us. The front door was highly important in the Victorian era. It provided a statement about the wealth of the occupants and had to convey the right impression to anyone approaching or passing by. In the Victorian era, doors were often panelled and elaborately carved. They would commonly be surrounded by a matching door frame with an imposing architrave which was carved and painted or grained to appear more expensive. Beautiful stained glass panels and gleaming brass door furniture would often be used as the finishing touches. 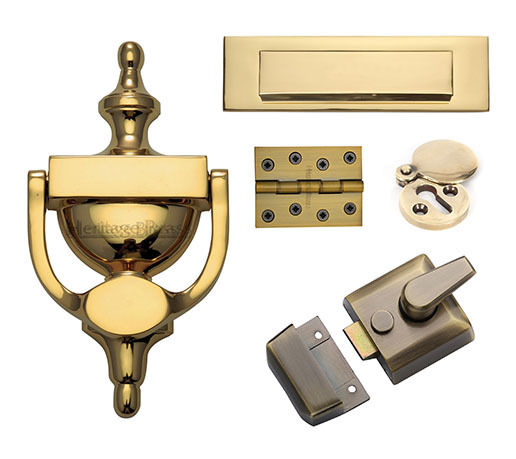 This hardware would be polished often by domestic servants, providing a truly impressive entrance. Whatever the style or status of the house, an imposing front door became an essential feature of most Victorian homes. This theme has stood the test of time and is still very popular today. The development of glazing and the manufacture of larger panels of glass in the late 1830’s enabled it to be incorporated into front doors. Initially only the two upper panels were glazed but by the 1880’s the entire top half of a door might include leaded panes and patterned coloured stained glass. Some Victorian doors would feature a hood above in order to protect one from the weather. Fanlights were also used, typically in the traditional Georgian style but decorated with intricate ironwork designs. We offer a large range of fully bespoke stained glass panel designs to suit your door. In contrast to the impressive front doors of the upper and middle class homes many simple homes had basic wooden ledged doors. These were made of tongue and groove boarding with horizontal planks positioned to help strengthen the main planks. The ledged door was also found on back entrances and is sometimes used today. Cast iron was a popular metal used in the creation of door furniture in the first half of the century. It was used for door knobs, knockers and hinges. The designs echoed back to the previous century with designs like lions heads and urns. By 1850 the use of brass became more widespread and front doors had shining brass bell pulls, finger plates and letter boxes. This helped create an even more imposing sight. Cast iron foot scrapers were also a traditional feature beside a front door. House numbers engraved on glass panels or in metal began to appear on front doors as well. If you’d like a Victorian front door created to update the look of your home, or if you wish to restore your period property, we can help. Get in touch to discuss your requirements. Take a look at some of the many Victorian door projects we have completed for our customers over the years.